Are you using a blog in your business? If not, it’s time to hustle. Otherwise, you’re falling behind other businesses that are using this valuable marketing tool. Blogs are normally associated with those who want to keep up with family and friends or just share their thoughts. But blogs are now playing a significant role in getting businesses recognized in more ways than one. With blogs, you’re helping your company stand out with well-written content. 1. With video becoming a rapid player in company communications, blogs still remain at the forefront for reaching your customers. In their “B2B Content Marketing: 2017 Benchmarks, Budgets and Trends—North America” the Content Marketing Institute reports that 80% of organizations use blogs for their marketing tactics. 2. Blogs are critical tools in today’s climate. Develop your company’s strategic initiatives. Companies who have a blog receive some 97% more links to their websites. Hubspot also reports that blogs have become the 5th most trusted resource for accurate online information. 3. Use your blog as a vehicle to share information about your industry and its developments, educate your customers, or to help them resolve pain points they may have. 4. Google loves blogs. Google analyzed indexed search phrases in pages through links and XML and interprets the quality page content. The resulting indexed pages drive organic traffic when they show up in search engines. For example, businesses that blog receive 434% more indexed pages and 55% website visitors. When you create more and more blog articles, there are more opportunities to rank higher. 5. Who reads blogs and posts? According to blog giant WordPress, over 409 million people view more than 20 billion pages each month. In addition, there are around 91.8 million new posts and 48.9 million new comments every month. Those are some seriously big numbers. 6. You can answer commonly asked questions about your business’ products, services, or other information, depending on your specific industry. Think of your blog as your company staying open 24/7. Potential, new, or existing customers can visit and read your posts and respond with questions any time, day or night. Anyone who is researching a particular topic can find information suited to their needs. 7. You must be sure that you provide regular content, and that includes images. Imagine how difficult it would be to concentrate on a book that’s all text? In a study at MIT, neuroscientists discovered that the brain can identify images seen for a little as 13 milliseconds (0.013 seconds). So use those images. 8. There are other facts to consider: Hubspot reports that companies who blog receive 97% more leads to their websites. And there’s more: B2B marketing businesses that use blogs are generating 67 % more leads than those who don’t. And some 2 times more email traffic. And if you’re a non-blogging company, you would be missing out on 126% lead growth. 9. If you have a FAQs page—and you should—you can use the questions and answers to build out that area of your website. You can use information from your FAQs page to introduce comprehensive content such as articles, infographics, diagrams, and videos and link them in your blog. Likewise, introduce new content and website URLs to content such as e-books, white papers, and case studies that you can use as downloads. 10. Don’t forget about inbound marketing. Rather than contacting business prospects with outbound messaging, inbound marketing is designed to draw in visitors and potential customers. Take for example, HubSpot says that 89% are either maintaining or increasing their inbound marketing budgets. Look at it this way: the typical outbound cost per lead is about $346. The average inbound cost per lead is $135. This equates to a 61% less per lead than traditional costs for outbound marketing lead generation. 11. Multiple blog article authors = More credibility and increased reputation. Some 63% of visitors found that a blog with multiple authors is more credible than those without. Besides, there’s more new concepts and writing styles. Each writer brings a source of variety to the mix of content presented. All of this spells a trusted source of information. 12. Don’t forget to write your blogs on social media. There are many businesses—some 12 million—that also write blogs on their social media networks. Use sites like LinkedIn, Facebook, Instagram, and Twitter to reach these users with shorter blog content. LinkedIn alone is the most effective social media platform if you want to deliver your custom content. The more blog articles you create, the larger number of leads you can generate. Hubspot says if you publish 16 or more blog posts each month—4 per week— you can expect to see around 3.5 times more traffic than those businesses that post 4 times or less a month. But the takeaway here is: the more you blog, the more leads you can generate. 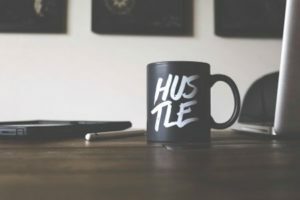 If you don’t currently have a blog for your business, now is the time to hustle. There are many reasons to do so, but none can sway you from embracing this fast-growing technology.